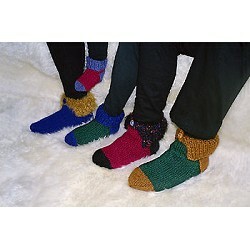 Cozy around the house in these super comfy and super warm socks, available in child and adult sizes! This is a great way to use up scrap yarns. Quick and simple to knit, and they make great gifts!